Awful Bad: Nice Heavy Black Vase - $10This is a nice heavy Black Vase. 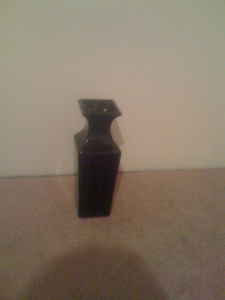 Nice Heavy Black Vase - $10This is a nice heavy Black Vase. theAd>>This is a nice heavy Black Vase. If the in depth description doesn't get you, the lovely photo will. Not only would this make a fine gift it would make a terrific blunt instrument. Labels: Decorative?, Makes a Great Gift?